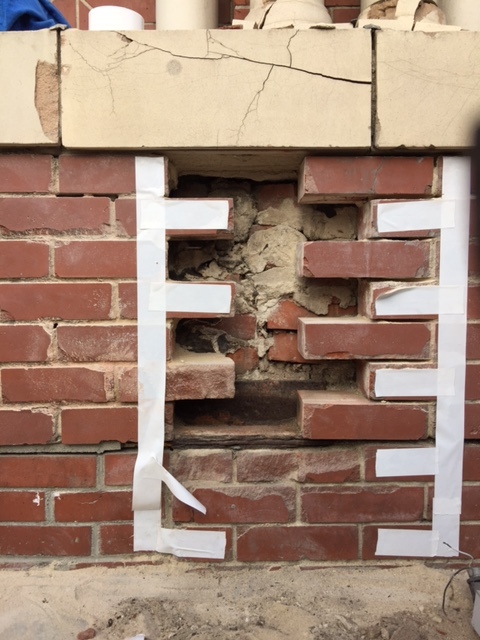 Last week we removed a small section of the outermost brickwork on the lower east side. 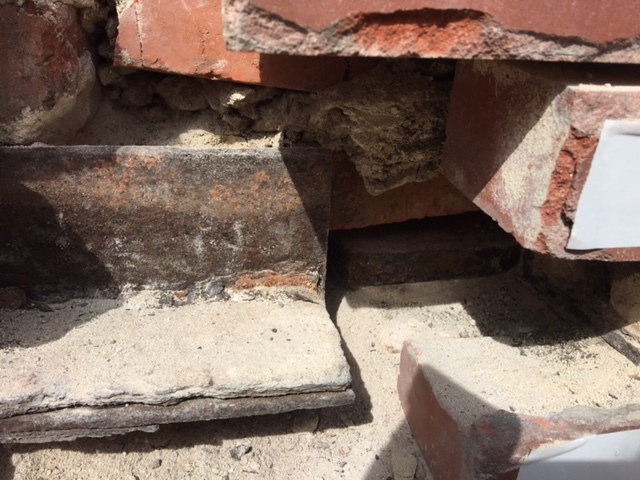 This excavation revealed poor original workmanship that has been damaging our terracotta and brickwork from the inside. The cracks in the terra cotta sill and column base point almost directly towards the unfortunate join in the underlying masonry. The strength of a masonry building comes from interlocking bricks held tightly in place by an even, tightly packed mortar. In our case, the bricks are not interlocking but are abutting one another leaving a vertical void that has only gotten bigger as the building settled and the mortar softened. The result of the space is that the columns and piers are sinking into the hollow terracotta blocks causing cracking and deformation in all of the moving parts involved. The bricks should be interlocking but instead multiple rows meet at the same place creating an unstable base for the details above. In addition, there are several four ft. L-shaped beams that hold the veneer brick in place and are supposed to shore up the interior masonry. These beams are exposed and have expanded thanks to heavy rusting. 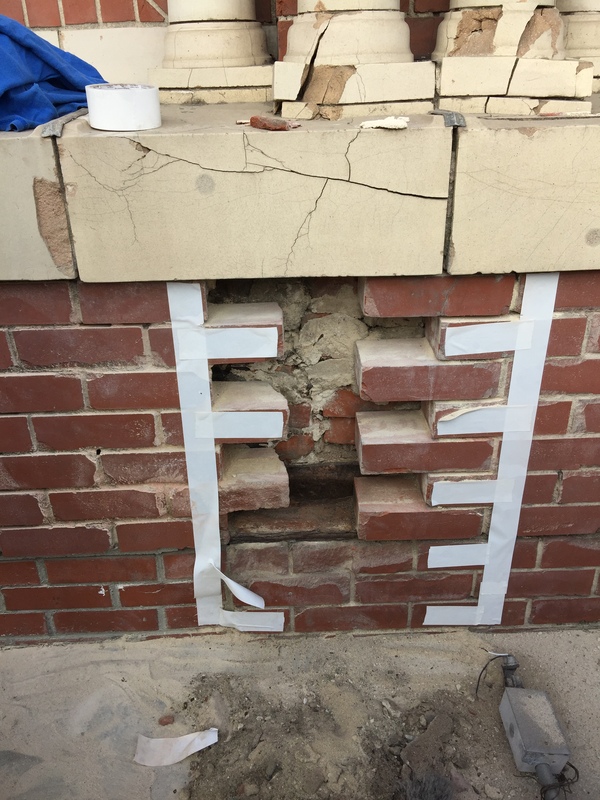 This has caused cracking in the brick and further weakening to the interior masonry. Corroded L-beam and back base plate. The root causes of damage have been identified and now our team is working on addressing the structural issues at hand. Once the treatment is finalized, exact pricing will be figured out. As soon as we get the numbers the Preservation Committee will give a presentation giving a full update on the project. Let me know if you have questions!